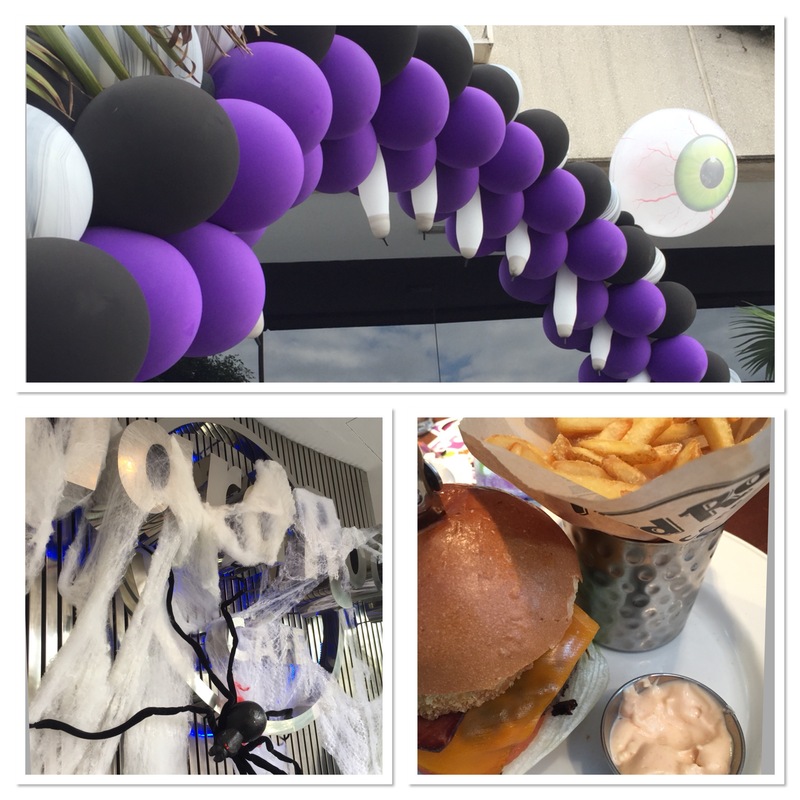 Tuesday of course was Halloween and we took a trip to Puerto Banus and had lunch in the very spooky Hard Rock Cafe. We were served (or should that be severed) by a zombie. Not sure about the waiting staff recruitment but the food was good, even if it was devilishly loaded with calories…. 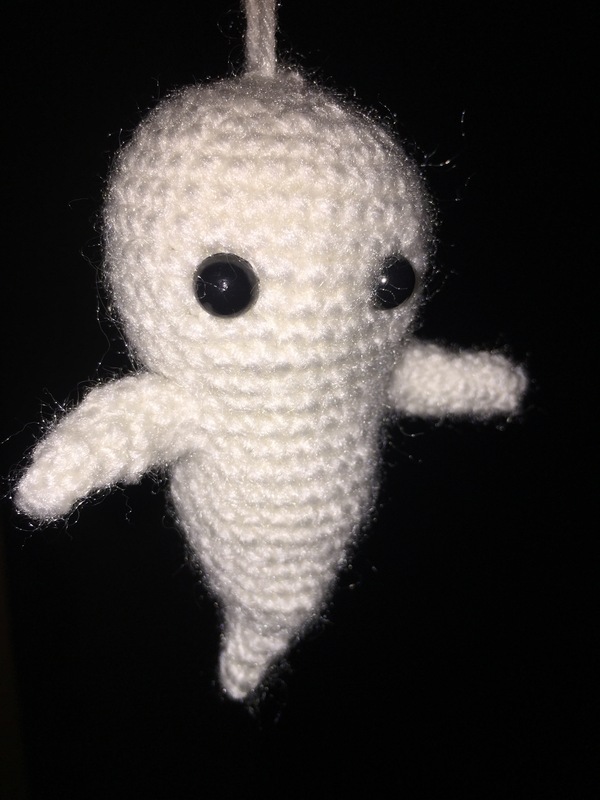 I finished Gloria the ghost, who came free with the Halloween edition of Simply Crochet Magazine from last year. As my copy always arrives too late to be totally relevant for the season, I was astonished that I managed to unearth the kit and correct magazine for instructions in time! 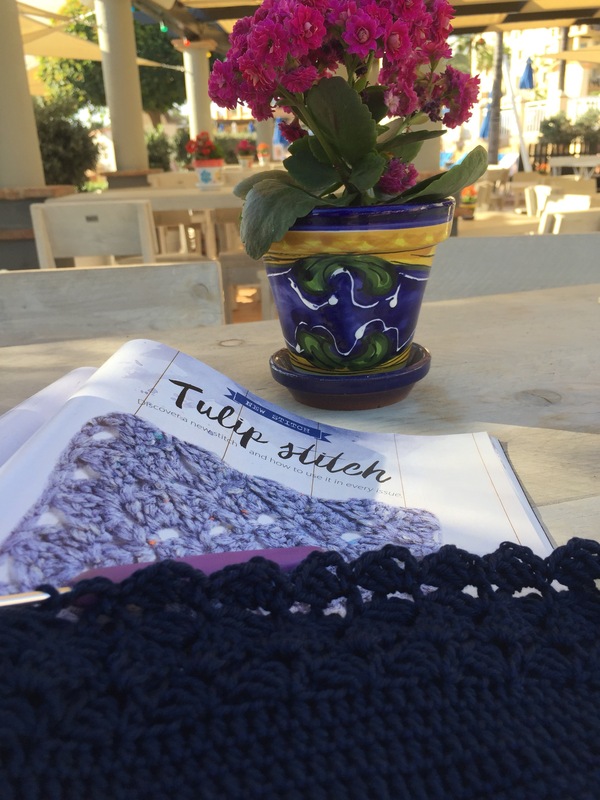 A new month, meant a new project using a new stitch. I can’t say any more about this as it’s a secret. On Friday night we experienced a very long and dramatic thunderstorm. 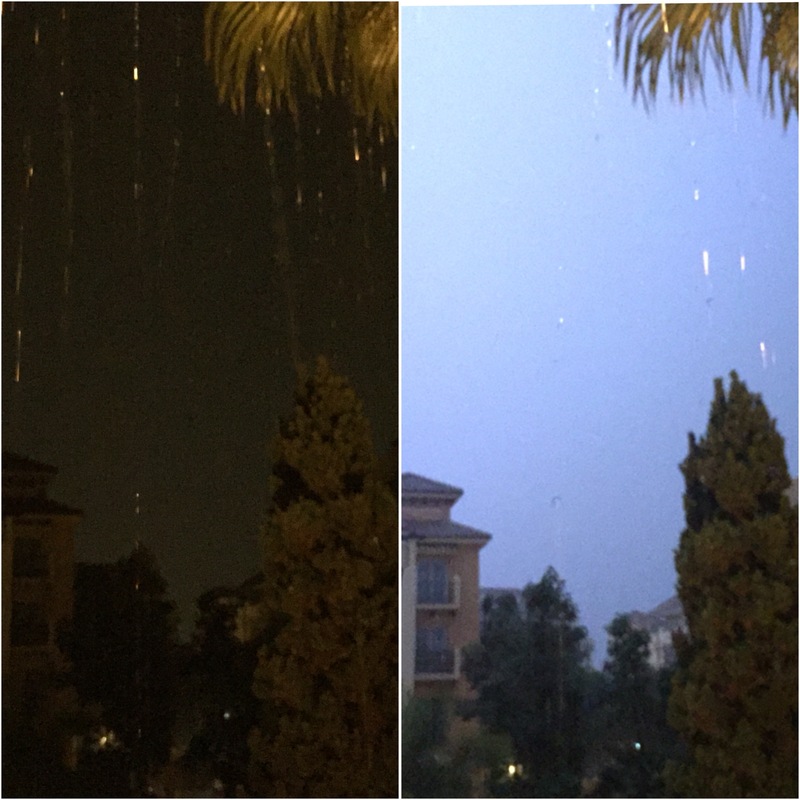 I didn’t manage to catch a photo of fork lightning this time but these two photos were taken about a second apart. An amazing amount of rain fell, just in time to remind us to dig out the waterproofs in time for this winter’s rain. 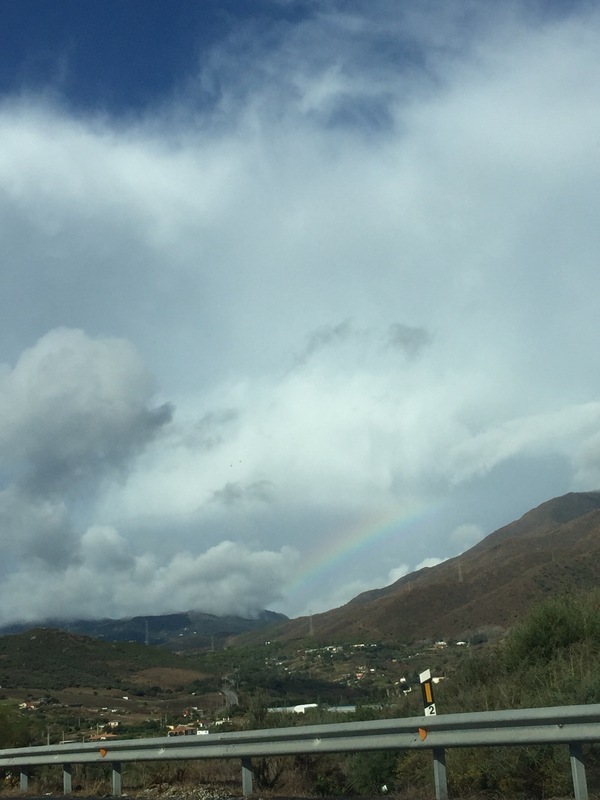 The rains continued into yesterday morning but less heavy and there were glimpses of sunshine too, so we saw a couple of rainbows 🌈. Can you spot the faint one over the hill? 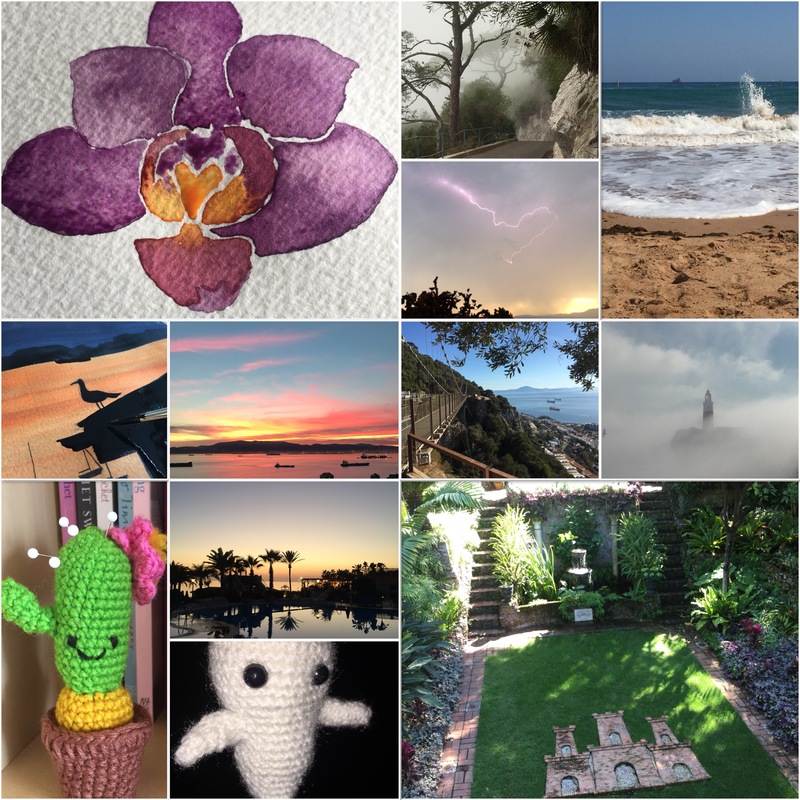 Here’s a few of my October highlights…. 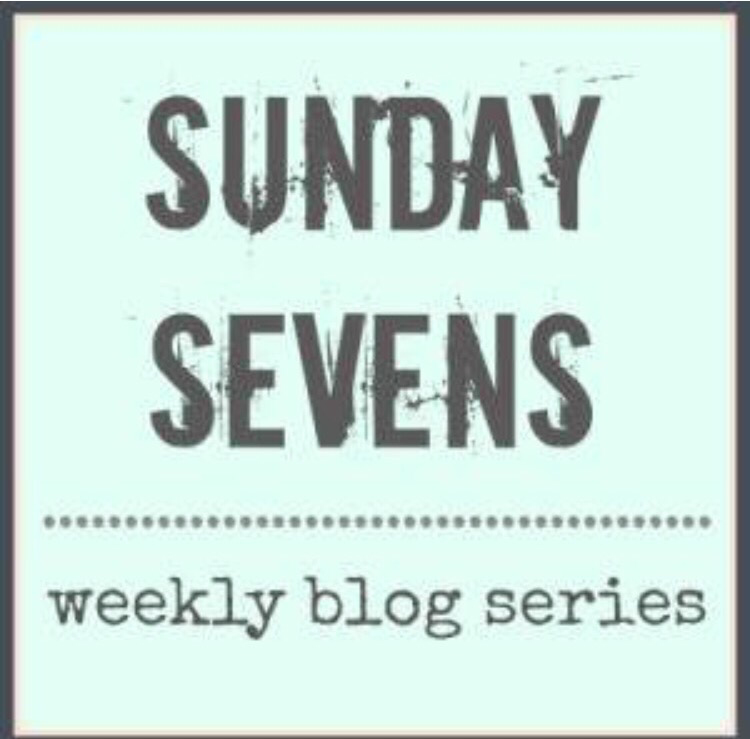 I’m linking with Natalie from Threads & Bobbins for the Sunday Sevens weekly blog series. Oh the C word, it’s a coming. A lovely sunny break for you. Sounds as if you had a wonderful break. The ghost looks awesome! Always love your Sunday Sevens. Dramatic weather variations, wonderful craft makes, and that wonderfully soothing photo at the top – ah bliss indeed. It looks like you had a lovely relaxing time. 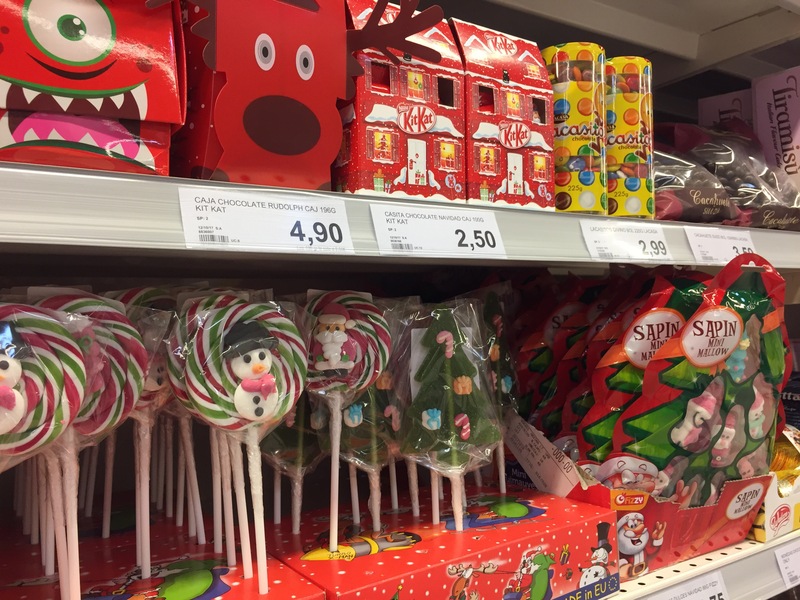 I have started thinking about Christmas as I’m sure most people who create the majority of their gifts have so am not too put off by it being in the shops but I do def think there is too much about. I‘m completely with you on the Christmas tunes!! You have to feel for the poor shop staff who have to listen to it for weeks without losing their sanity!! So we walked past one of the perfume shops on Sunday and they were playing Christmas tunes! It has started. Talking of listening to things over and over we used to have a video for the Tall Ships Youth Trust which was set to Queens, Don’t Stop Me Now. Having that playing on repeat all day for 10 days of the boat show drove us (and all the neighbouring stands) crazy. That video’s great – but I can appreciate it beginning to grate after a while!! Hallowe’en, hmm. I see so many things I’d like to make, then remind myself that we don’t really ‘do’ Hallowe’en in a big way, so it really isn’t worth the effort. Love your little Caspar though. You’ve certainly had some spectacular storms recently, mixed in with some stunning sunshine. 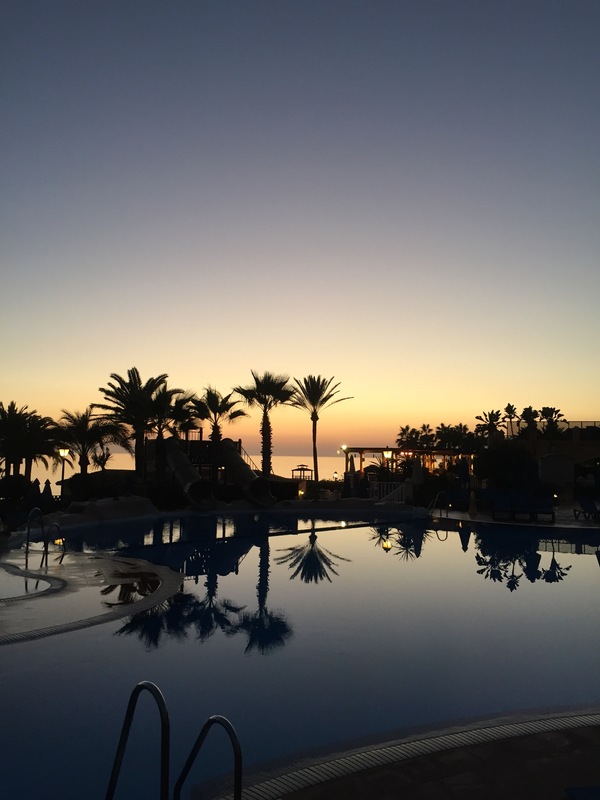 I know you don’t need reminding how lucky you are to be spending extended time in that part of the world, but I’m saying it anyway!